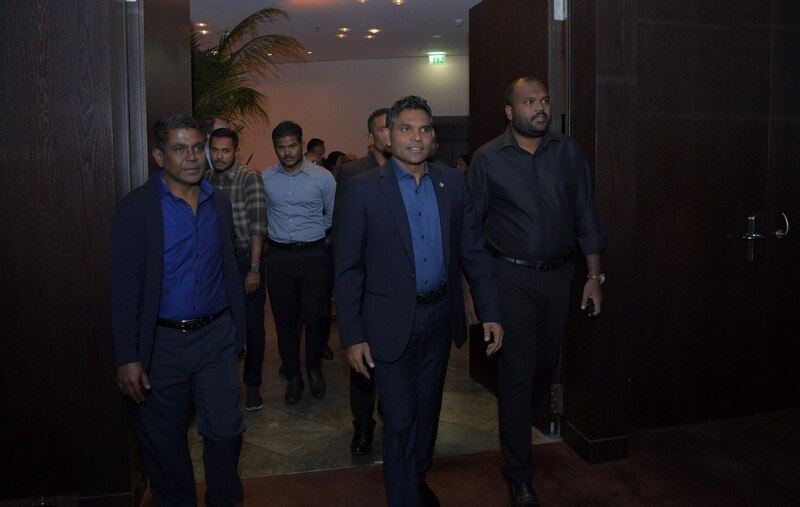 The Vice President attended the “Maldivian Night”, held at the Grant Hyatt Berlin for the Maldives’ representatives at the ITB fair. This event was organized by the Maldives Marketing and Public Relations Corporation, and involved several musical and cultural performance items dedicated to showcasing the festive spirit, dynamism and variety that have long been hallmarks of the Maldives’ culture and traditions. During the event the Vice President conveyed the Government’s vision of progressing the economy and tourism industry in a sustainable way, in harmony with our natural environment and cultural heritage, whilst simultaneously maintaining our world renowned quality of service and commitment towards excellence. The event was attended by Maldivian representatives, foreign delegates, as well as international media.